Custom Website development Service that is built to educate, inspire, attract & convert. Prometteur has a reputation for creating innovative custom web applications that meet and exceed expectations. Our specialized custom website development service engineers offer the highest level of usability, scalability and complete compatibility in browsers and platforms. Each of our modules is designed to fit into a framework that is mindful of usability, performance, security and auditing. Since every company is unique with its own specific needs, we invest a considerable amount of time trying to learn how the business works so we can propose unique and innovative options for the clients. 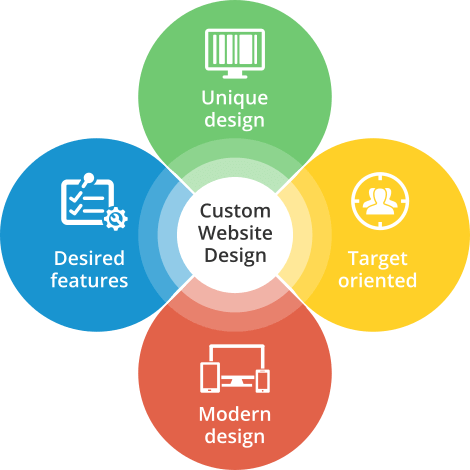 There are three main parts as to what custom website development is all about. It’s the planning, the creation and the maintaining of web-based software. Custom data applications as the most popular type of application we create, these include business processes automation, Customer relationship management system, custom ecommerce software and one of a kind applications build for a specific purpose. All our web applications are responsive to support cell phones and tablets natively, our testing team evaluates usability on physical mobile devices to ensure our systems can be effectively used in any environment. The Prometteur Solutions team creates solutions that solve business problems for their clients, produces higher levels of client satisfaction, creates new avenues for partnership. Our specialized web solutions have enabled several of our clients to build strong relationships with their own customers and helped improve their competitiveness, efficiency, profitability and effectiveness in the marketplace. Please check our portfolio for applications we created.